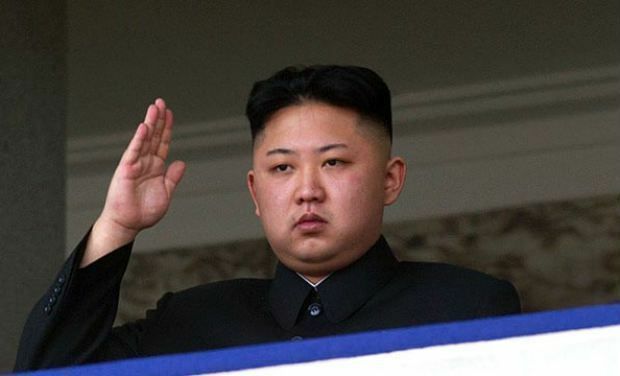 North Korean leader Kim Jong-Un has suggested his nuclear-armed state has developed a hydrogen bomb. A South Korean intelligence official said Kim\'s claim was nothing more than \"rhetoric\" for domestic consumption. North Korean leader Kim Jong-Un has suggested his nuclear-armed state has developed a hydrogen bomb, a move that would signal a major step forward in its nuclear weapons capabilities. During a recent inspection tour of a historical military site, Kim mentioned that North Korea was already a "powerful nuclear weapons state ready to detonate self-reliant A-bomb and H-bomb to reliably defend its sovereignty", the North's official KCNA news agency said today. A hydrogen, or thermonuclear device, uses fusion in a chain reaction that results in a far more powerful explosion. North Korea has hinted before at the possession of "stronger, more powerful" weapons, but Kim's remarks were believed to be the first direct reference to an H-bomb. The North has made many unverifiable claims about its nuclear weapons strength, including the ability to strike the US mainland, which most experts dismiss -- at least for now. A South Korean intelligence official said Kim's claim was nothing more than "rhetoric" for domestic consumption. "We don't have any information that North Korea has developed an H-bomb... And we do not believe that North Korea has the technology to produce an H-bomb," the official told the Yonhap news agency. In September, however, the Washington-based Institute for Science and International Security (ISIS) had raised a red flag over what appeared to be a new "hot cell" facility under construction at the North Korea's main Yongbyon nuclear complex. Analysts at the think tank said satellite images suggested it could be an isotope separation facility, capable of producing tritium. Tritium is a key component in the design of more thermonuclear weapons with far greater yields than those made only of plutonium and uranium. The North's first two nuclear tests in 2006 and 2009 were of plutonium devices, while the third was believed -- though not confirmed -- to have used uranium as its fissile material. "Whether North Korea can make nuclear weapons using tritium is unknown although we believe that it remains a technical problem North Korea still needs to solve," ISIS said at the time. "Solving this problem would likely require more underground nuclear tests," it added. North Korea's main ally China said it had noted the reports of Kim's H-bomb claim, but offered no opinion as to its credibility. The situation on the Korean peninsula "is still complex and fragile", foreign ministry spokeswoman Hua Chunying said in Beijing. "We hope that all sides can do more to maintain peace and stability there," Hua said.